Another day, another leak of Samsung’s Galaxy S9. 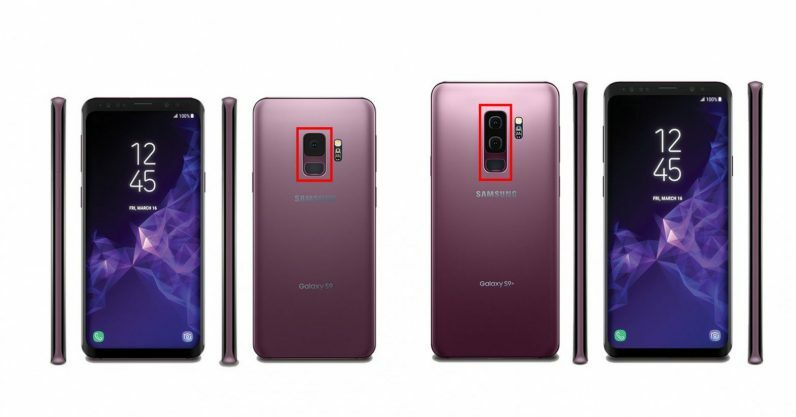 Today’s images, courtesy of the ever-reliable Evan Blass, show off a sweet new color for the Galaxy series: “Lilac Purple.” The phone will also come in Midnight Black, Titanium Gray, and Coral Blue. Unfortunately, it also confirms the fact that only the S9+ will have dual cameras. As I’ve written before, that’s real shame; Samsung’s flagships were pretty much the only devices that came with identical specs in both the plus and regular sizes. In any case, the smaller S9 shouldn’t be ignored, as Samsung is expecting to make other major improvements to the camera, including the first variable physical aperture in a major smartphone. It is also expected to have the widest aperture we’ve seen, at F1.5. Hopefully Samsung doesn’t shrink the sensor too much to compensate. The company is expected to announce the device at the end of the month at Mobile World Congress in Barcelona, so it won’t be too much longer until we find out more.